Mass attendance is on the decline and engagement is even more on the decline. The Church needs expert, in-the-field help! A customized coach helps you wade through common challenges and those particular to your parish. Expert consultants help overcome roadblocks and design a site-specific strategic plan to draw staff and parishioners into life-changing encounters with Christ. An online learning management system with over 800 pages full of content, practical worksheets, and videos to help keep your staff motivated for mission as they learn the skills to accomplish it. REACH MORE™ helps leaders seed a sustainable movement! 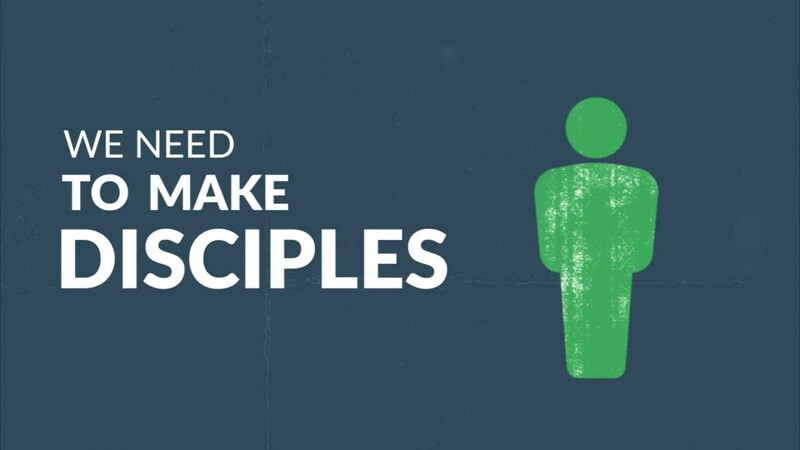 REACH MORE™ guides pastoral leaders to identify faithful, available, and teachable Point People (PP) who can launch the movement with an initial training group. Called, formed, and trained laity from that first training group disperse to lead their own small group comprised of friends, neighbors, and coworkers. Every house represents a satellite of the Church where loving people attract others who don’t attend Mass or wouldn’t go to anything at a parish. While shepherding the first small group leaders, PP discern and call a new training group. The PP shepherd, guide, and counsel these new leaders. Then the process repeats and multiplies. We have consulted with hundreds of ministries, taught thousands of laity to lead evangelization small groups, and trained over 10,000 Catholics for relational outreach. Currently, over 100 ministries are subscribing to our online evangelization coaching system. Do you know a ministry that could use our help? Click here to contact us. REACH MORE™ has been used in conjunction with: Alpha, Real Life Catholic, Amazing Parish, Formed, Focus, Catholic Campus Ministry Association , Notre Dame Center for Liturgy, Knights of Columbus, Saint Paul’s Outreach, Sisters of Life, and Brotherhood of Hope. It is among the highest sought-after consulting service for creating a true movement of sustainable, local evangelization. REACH MORE™ On-Site: the most common option for complex ministries seeking full-on support. It’s also commonly utilized by ministries looking to drive the mission further. Some ministries start with the Online option and then upgrade to On-Site to overcome barriers faster. Dedicated consultants work with your ministry each week remotely, plus they travel to your site each year. You gain the widest access to workshops and more importantly, how to execute them. Before you know it, you are confidently doing this on your own. REACH MORE™ Online: developed for ministries that have only one staff member to drive the movement, or less complex ministries that do not need specific on-site help. The focus of work is getting a self-sustaining movement started. Like the On-Site option, Reach More™ Online follows a “we teach you, you watch; then you teach, we watch” methodology. All the work is done remotely with your coach. REACH MORE™ Campaign: developed for ministries who do not need such deep infiltration and/or already have invested in other programs, REACH MORE™ Campaign focuses on just launching the movement. EC consultants visit twice, first strategically working with the staff to lay a vision and second to launch a ministry-wide campaign for discipleship. We do the heavy lifting to provide some initial traction; the momentum is then carried forward by the ministry staff. I’ve been waiting 5 years to do ministry in this way. It’s not a program but a culture we’re creating. Our REACH MORE™ formation and training sessions are a highlight of my week! It’s not about when to launch small groups as a program, but instead it’s about when do we launch our leaders into mission. It’s a people mentality, not a program mentality.